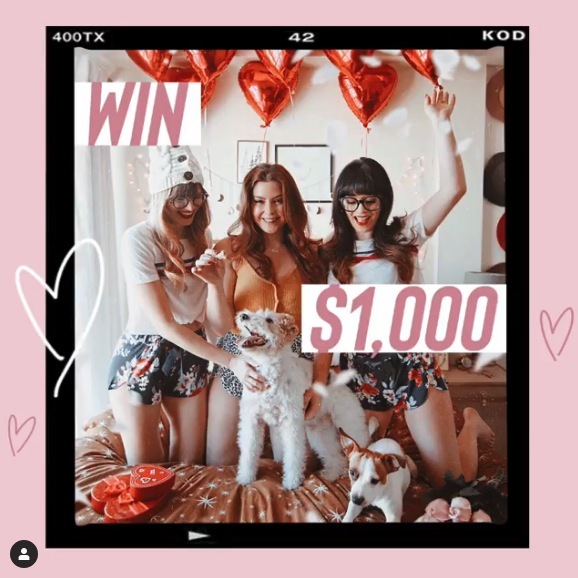 Ardene has launched the new Galentine’s Day Contest on Instagram, enter for a chance to Win $500 cash + a $500 gift card. This contest is open to all legal residents of Canada who are 13 years of age or older. To enter you have to follow the official Ardene Instagram account located @ardene, then look for the post promoting this contest (click here to go direclty), like it and use the comments section to tag your ‘Galentine’s’. Entries to the contest close on February 14, 2019 at 11:59 pm EST. Winner will be chosen by random draw from all valid entries received during the contest period. The winner will get $500 cash and a $500 gift card. The Ardene Galentine’s Day Contest begins on February 7, 2019 and ends on February 14, 2019. Winner will be contacted via DM on Instagram on February 15, 2019.